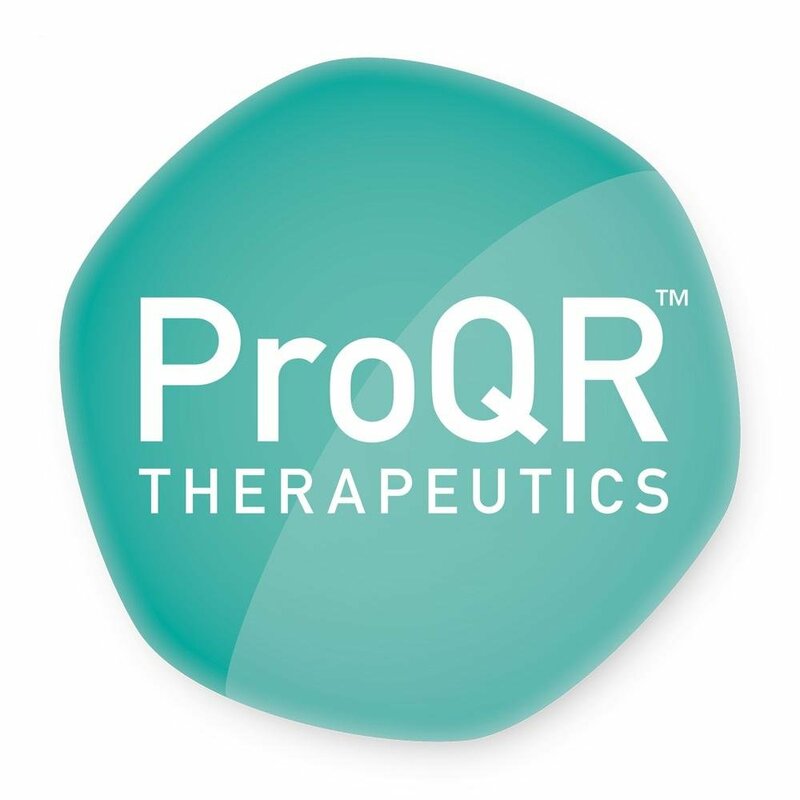 ProQR Therapeutics announced the strategic spin out of all Dystrophic EB (DEB) activities into Wings Therapeutics, a new company formed and financed by EB Research Partnership. Wings Therapeutics will continue to conduct clinical trials of QR-313 in exon 73 and progress other RNA molecules designed for other DEB mutations. Read the full press release here. Creator by WeWork featured EBRP in a piece highlighting our innovative venture philanthropy model that is changing the way nonprofits think about fundraising and expediting the path to treatments and cures for EB. Read the article here. Krystal Biotech announced that the European Medicines Agency (EMA) has given KB103, Krystal's topical gene therapy candidate for treatment of DEB, PRIME (PRIority MEdicines) designation, which is awarded to promising treatments that target an unmet medical need. Through the PRIME program, the EMA offers support to expedite the path to drug evaluation. Read the full press release here. EB Research Partnership announced the 2nd annual Change for Charley gala will take place on Saturday, 3/9, from 7pm-1am at Artifact Events in Chicago, IL. Emceed by ESPN's Scott Van Pelt, the inspiring event features food and drinks, an exclusive auction, and live entertainment. Visit changeforcharley.org to purchase tickets and read the full press release here. EB Research Partnership presented heavyweight boxer Luis "King Kong" Ortiz was with an EB Ambassador Award on Rare Disease Day during the press conference in advance of his upcoming match on Saturday. The award recognizes Ortiz's leadership in joining us to accelerate treatments and cures for EB, not only for his daughter, Lismercedes, who lives with the disease, but the thousands worldwide like her. Read the full article here. Phoenix Tissue Repair has dosed the first patient in their Phase 1/2 in-human clinical trial of PTR-01, a protein replacement therapy for recessive dystrophic EB. The trial will evaluate the safety, tolerability, and pharmacokinetics of PTR-01 in RDEB patients along with various secondary endpoints. Read the full press release here. EB Research Partnership announced the 2nd annual Plunge for Elodie on Saturday, March 2nd at Morses Pond in Wellesley, MA at 8am. In its second year, Plunge for Elodie has expanded to include a satellite plunge at Edgewater Park Beach in Cleveland, OH at 2:30pm. Get involved at plungeforelodie.org and read the full press release here. We announced a $1M research award for a disease-modifying treatment or cure for EB Simplex (EBS) in collaboration with EB Research Foundation, EMBRF, and the John and Anne Oros Foundation. EBS is the most common subtype of EB, however there are currently few projects aimed at developing therapies for EBS patients. 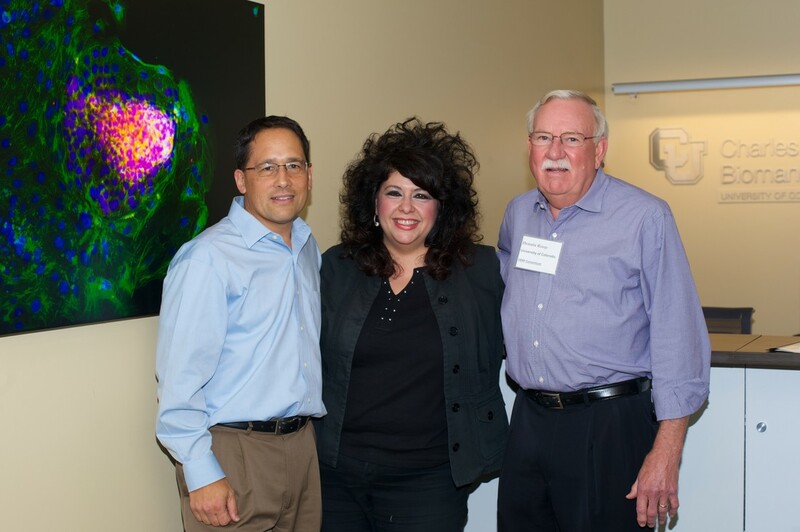 With our partners, we look forward to advancing research for this underserved community. Read the full press release here. EB Research Partnership and EB Medical Research Foundation have invested $900,000 into Fibrocell's FCX-007 gene therapy for treatment of Recessive Dystrophic EB. Through EBRP's innovative Venture Philantrhopy model, the organizations received stock in exchange for the investment. Read the full press release here. Constant Pharmaceuticals will begin development of an oral formulation of TXA127 for treatment of RDEB. In animal and in vitro models, TXA127 has demonstrated anti-fibrotic effects and caused reduction in the fusion of digits. 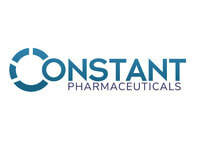 After the development stage, Constant aims to open a Phase 2 trial of TXA127 in Europe and the United States. EBRP is a proud funder of this research. Read the full press release here. EBRP and Australian-based EB Research Foundation, announced a global collaboration to accelerate our shared mission of advancing life-saving treatments for EB. EB Research Foundation will provide funding to EB Research Partnership to leverage our independent Scientific Advisory Board (SAB) as well as our innovative venture philanthropy model. Read the full press release here. ​EBRP is proud to support the work of an international team of researchers led by Thomas Jefferson University and UCSF Medical Center whose breakthrough development revealed the cause of aggressive skin cancer in patients with EB. This work opens the door to a more effective treatment approach for patients. Read more here. EB Research Partnership and EBMRF partnered to fund up to $5 million for ProQR's Phase 1/2 human clinical trial of QR-313, a potential therapy for Dystrophic Epidermolysis Bullosa (DEB). QR-313 addresses mutations in exon 73 of the Collagen VII gene through exon skipping, causing the production of functional protein. Read the press release here. Researchers from Stanford University presented the results of their exploratory study of Serlopitant for treatment of pruritus in EB patients funded by EBRP and EBMRF. Results indicate that Serlopitant was well-tolerated and more effective in reducing itch compared to placebo, supporting the potential of this drug as a treatment for EB patients. Read the press release here. People Health covered this story on Elodie Kubik, a two-year old with RDEB, and her family's exeperience with EB. Friends of the Kubiks started the Plunge for Elodie, a polar plunge, to raise awareness for EB and funds for EB Research Partnership. Actress Jessica Biel joined in on the action by plunging into her own swimming pool and posting a video on social media. Read more about the Kubiks and the Plunge for Elodie here. Actress Jessica Biel took the Plunge For Elodie into her swimming pool and posted the video on social media to show her support for Elodie, a baby girl with RDEB. The Plunge for Elodie was started by lifelong friends of EBRP Board Member and Elodie's mother, Emily Kubik. Read Brit + Co's article and watch Biel's plunge here. EB iPS Cell Consortium scientists led by Dr. Dennis Roop have discovered a highly efficient RNA-based method to reprogram patients' affected cells into iPS (induced pluripotent stem) cells. This technology is potentially curative and this breakthrough brings us closer to introducing iPSCs in clinical trials. This research has been accepted and validated by all EB iPS Cell Consortium members, who will use this method in their studies. The Kauf Family of Chicago held their first annual Change for Charley event on November 11th which raised over $320,000 for EB Research Partnership! Brooke and Michael Kauf, featured in this Chicago Magazine article, held the event in honor of their 5-year-old daughter Charley, who lives with EB. Read the article to learn more and see some fantastic photos from this successful night for EB research. EB Research Partnership and EB Medical Research Foundation granted an equity-based award totaling $770,000 to Krystal Biotech for research on treatments and cures for EB, specifically their lead-candidate KB103, a potential gene therapy for DEB. Read the press release here. Abeona Therapeutics' EB-101 gene therapy program, which recently was recommended to enter phase 3 of clinical trial, has received Breakthrough Therapy designation by the FDA. EBRP is a proud partner to Abeona and the Stanford research team. Read more here. Students at Gaynor McCown Expeditionary Learning School in Staten Island, NY raised money for EBRP in honor of John Hudson Dilgen. Read more here. The EB-101 program, a potential gene therapy for RDEB, has been granted Orphan Drug Designation in the European Union. Read this press release for more information. Eddie Vedder made a surprise appearance at the NASCAR Sprint Series Awards Banquet in Las Vegas to pay tribute to Tony Stewart in honor of his retirement. NASCAR donated $1.8 million to EBRP on behalf of Stewart. Watch the video and read more here! Eddie Vedder surprised Tony Stewart at the NASCAR awards, where both were thrilled to learn about the $1.8 million donation NASCAR made to EBRP in Stewart's name. Read more in this article. The Stanford researchers reported the results of four adult patients in the November 1st Journal of the American Medical Association. Read the press release for highlights on this groundbreaking research! Watch this video of a discussion on Venture Philanthropy featuring David Deshe, a major EBRP supporter, and Alex Silver, Chairman of EBRP's Board, facilitated by Heron Foundation’s Toni Johnson at the 2016 Nexus Global Youth Summit on July 21, 2016 at The New School in NYC. Abeona Therapeutics, EB Research Partnership, and EB Medical Research Foundation announced their collaboration on gene therapy treatments for EB. ​Read the press release for more information! EBRP brought together scientists from Stanford, Columbia and Colorado Universities to form the EB iPS Cell Consortium. The consortium will work together to reach their common goal of curing EB. Read the press release for more information! Read this article from the Today Show about Eddie and Jill Vedder's commitment to EBRP and finding a cure for kids like Mikey and Jackson. Read this article from the Miami Herald about the Deshe Family's tremendous $3 million gift to EB Research Partnership. We are extremely appreciative of the Deshes' continued support to our cause! As the father of a child with Epidermolysis Bullosa, a rare genetic condition that makes the skin as delicate as a butterfly’s wings, Father’s Day is a reminder of Alex Silver’s journey to find a cure for his son, a butterfly child. In this letter, Silver reflects on the pain his son, Read the full story here. EB Research Partnership’s Jamie Silver and Michelle Hall were interviewed for this article in the San Francisco Chronicle. EB Research Partnership formed its inaugural Scientific Advisory Board in May of 2015. The board, made up of esteemed medical professionals, will apply its collective scientific expertise to advise EBRP on which EB research projects we should fund. Read more here. Rachael Wrobel, a young woman with EB, ran the Shamrock Shuffle in Chicago to raise EB awareness and fundraise for EB Research Partnership. Visit our Endurance Events page to learn more about joining our team for events like this one! Click here to read more about Rachael's story. Orange County elementary school students raised money and awareness for EB ion honor of Mikey Fullmer. Read more of this heartwarming story ﻿here﻿. Your Donations Can Buy Time. Your Generosity Can Give Life. Read this speech given by Alexander Silver, Board Chairman and Co-Founder of EB Research Partnership, at our annual ACTion for Jackson event. Eddie Vedder honors Dr. Jakub Tolar, a doctor and leading EB researcher at University of Minnesota, at the Pearl Jam concert on October 19, 2014 at Xcel Energy Center in St. Paul, MN. Read the full article and watch the video here. Eddie Vedder encourages you to ﻿"Cause The Wave"﻿ to heal EB in this video campaign for EB Research Partnership. Click here to read the article and watch the video featured in Rolling Stone for more information. Read this article featured in The Wall Street Journal about the formation of EB Research Partnership spotlighting two of our co-founders, Alexander and Jamie Silver. The Jackson Gabriel Silver Foundation and Heal EB merged to form the collective EB Research Partnership on October 1, 2014. Read more about the formation of EBRP in our merger announcement. Watch this video featured on The Doctors TV about Dr. Jim Sears' visit with our friend John Hudson Dilgen, who has severe EB.